The president of the International Olympic Committee, Thomas Bach, has promised boxers that they will be able to compete at the 2020 Tokyo Olympics. Just 24 hours after the IOC suspended planning for the tournament and set up an inquiry into the affairs of AIBA, the world governing body of the sport, Bach sought to reassure athletes that boxing will be on the programme in Tokyo. However, at a press conference in Tokyo at the conclusion of a two-day meeting of the executive Board of the IOC, Bach was unable to say how the tournament would be organised if, as anticipated, the IOC sanction AIBA and withdraw their right to organise the event. 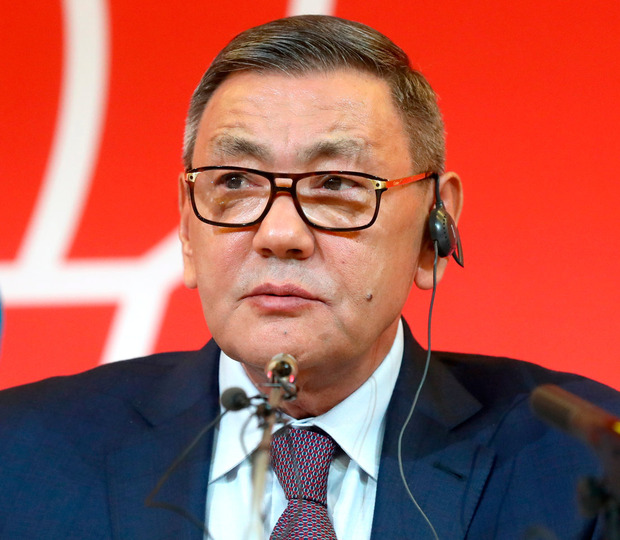 The IOC are obviously hoping that increasing pressure on AIBA, and in particular their newly elected President Gafur Rakhimov, will result in the latter stepping down. So far, however, there is not the slightest hint from Rakhimov that he will accede to the demands of the IOC and in a significant intervention, the secretary general of the Russian Boxing Federation backed the beleaguered official. According to the website Inside the Games, Umar Kremley wrote on the Russian Boxing Federation's website that the IOC would 'fall apart faster than boxing' if the sport is removed from the Olympic programme. Interestingly, Russia is due to host both the men's and women's World boxing championships next year, which will double as the main qualification tournaments for the Tokyo games. However, the German-born president admitted that the presence of Rakhimov on a United States Treasury Department sanctions list, which means that he is unable to travel to certain countries, is one of the major problems the IOC has with AIBA. AIBA's inability to maintain or open a bank account in Switzerland was also cited by Bach as a principal concern. Inside the Games revealed last week that a Lausanne-based bank had closed the AIBA account owning to the 'reputational risk' of being associated with an organisation which is led by the 68-year old Uzbekistan-born businessman, who has alleged links with organised crime in central Asia. "If you see the decision of the IOC Executive Board then it becomes very clear that what we are concerned about is that he cannot exercise the full function of the president with the restrictions which go along with being on the list and its effects on the running of AIBA,” said Bach. Rakhimov has vowed that he will have his name removed from the Treasury Department's sanctions list, though his attorney recently acknowledged that this process could take some time. Bach revealed that that the IOC has received a request from the Japanese Boxing Association, pleading with them to ensure a boxing competition is held in Tokyo. He said the IOC were 'absolutely in line' with this appeal. "We will make all efforts to protect the athletes like we always do," he said, though he didn't explain how freezing planning for the tournament in 2020 could reassure boxers. At best, they will have to wait until June 2019 to discover their fate. IOC sports director Kit McConnell and Tokyo 2020 chief executive Toshiro Muto both cited June as the date when a final decision will be taken. The IOC-led enquiry into the affairs of AIBA will be completed by then and the full membership of the IOC – and not the executive board – will have the final decision on the fate of boxing at the 2020 Games. Freddie Roach - "Tyson Fury has the vision to evade Deontay Wilder blows and win by knockout."